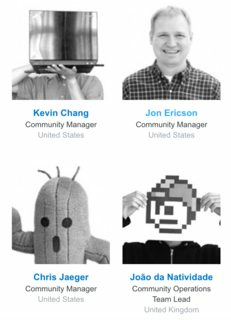 I write about my experience as a community manager at jericson.github.io. You can read about what I've done over the years in my curriculum vitae. On a personal note, I'm married and have three children. Our oldest son loves school, friends, games, and music. Two of my children happen to have been born on the same day. I sometimes write about that experience. My wife loves taking care of people as a registered nurse. Don't have time for a full review of something? Why not try my 5-second reviews? I once wrote for Eschewmenical, which was an experiment of Christianity Stack Exchange. For a lot more writing about the Bible, see my Biblical Hermeneutics posts. 143 What privilege should 30k users get?